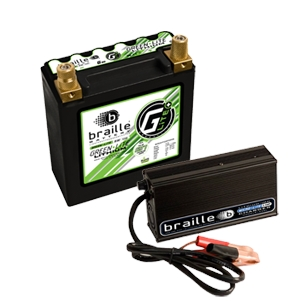 G20 Combo with 6 amp lithium Charger – The GreenLite G20 model is designed specifically for the small displacement automotive (4 & 6 cylinder) & motorcycle market. Due to low capacity of this lightweight battery, if the vehicle is not driven on a regular basis, a lithium charger must be used to keep the battery fully charged or a power disconnect switch used to keep the battery from being drawn down. Do not use a standard lead charger on a lithium battery.